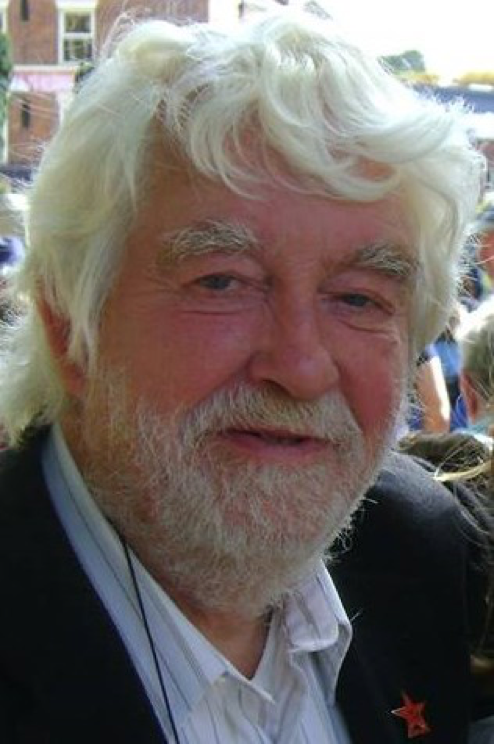 It is our sad duty to announce the passing of Comrade David Coates of the Wakefield Branch of the CPGB-ML. He died peacefully in his sleep on Thursday 23 August after being diagnosed two months ago with bowel cancer that was beyond treatment by the time it was discovered. Dave, as he preferred to be known, was a tireless worker who followed any job that he was given to the bitter end and would always try to deliver even more than he was asked, his simple mantra being that if the Party asked him to do something it was his duty to do it cheerfully and to the very best of his ability. He was a prolific producer of Marxist-themed badges which he successfully sold to raise funds for the Party. He studied Marxist ideology right up to the end and always gave friendly encouragement to those around him to do likewise making sure that at least one hour of every weekly branch meeting that he attended was given to collective study. He was also a contributor to Proletarian and LALKAR, with his excellent article on the Red Army Choir appearing in the issue of Proletarian that came out on 1 August only weeks before he died. Just before the 2004 expulsions of five members of the executive committee and the full Yorkshire regional committee of the SLP for defending the right of the DPRK to develop a nuclear deterrent, Dave had dropped out of SLP activity and then membership owing to a terrible family tragedy, but it wasn’t too long before he joined those who had been expelled, or had left as a result of the expulsions, in the party that they had formed, the Communist Party of Great Britain (Marxist-Leninist), and from that day until his last he was a proud and exemplary member who understood democratic centralism and always displayed the highest levels of commitment, activity and discipline. He did have some reservations about the Party policy re the Scottish national question but, once the decision had been made, absolutely refused to make any public statement other than support for the party position. As a young man Dave had to serve imperialism with a two-year spell of national service in the RAF. When he left he got a job with Xerox the photocopier producer. One day he was sent up to Menwith Hill RAF base in North Yorkshire to repair a photocopier. It was a snowy day and Dave assumed that he would find his way around an RAF base with ease but was amazed to find that it was only RAF on the perimeter, inside it was a US military base, and he was taken at gunpoint by two American guards to a fenced-in open square where the machine was brought out to him and he had to fix it in falling snow while the two soldiers kept their rifles trained on him. This experience, along with the accounts that he had read of the great Soviet exploits in WW2, led him to read more and more books about communism. Dave played a very large part in the establishment of the Leeds British-Soviet Friendship Society (BSFS) and, as its Secretary, entertained Soviet Ambassadors and visiting dignitaries while presiding over meetings of 500 plus in Leeds town hall, and he travelled to many towns and cities in the Soviet Union. His darkest day was winding up the BSFS following the collapse of the USSR but he never stopped believing that communism was the future for Britain and the world and that it would be attained in the end by armed revolutionary struggle. Comrade Dave was 80 years old and his funeral will be held at 11.00am, 10 September, at Wakefield crematorium.